Sheksna is a Belize-registered vessel which has brought a cargo of timber from Latvia. 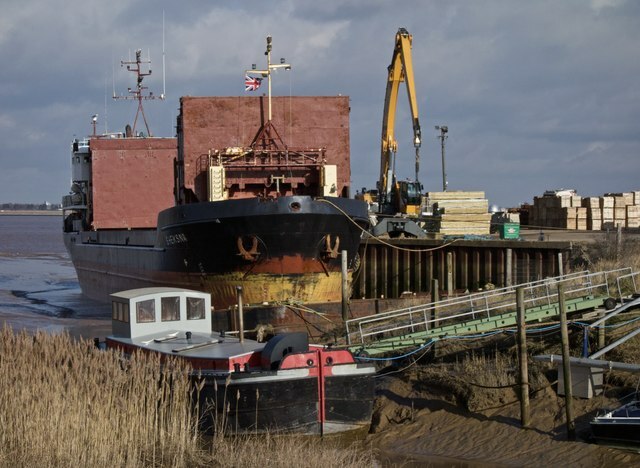 The small port of Barrow Haven on the south bank of the Humber estuary, is privately owned and managed by Old Ferry Wharf Ltd. It can handle vessels up to 120m in length and 3100 dwt. The port typically handles bulk cargoes, bulk and palletised bags, steel sections and coils, and bricks, tiles and finished goods. The two and a half-acre storage yard on the right has the space needed for the forwarding and distribution of timber products from Latvia and Estonia.